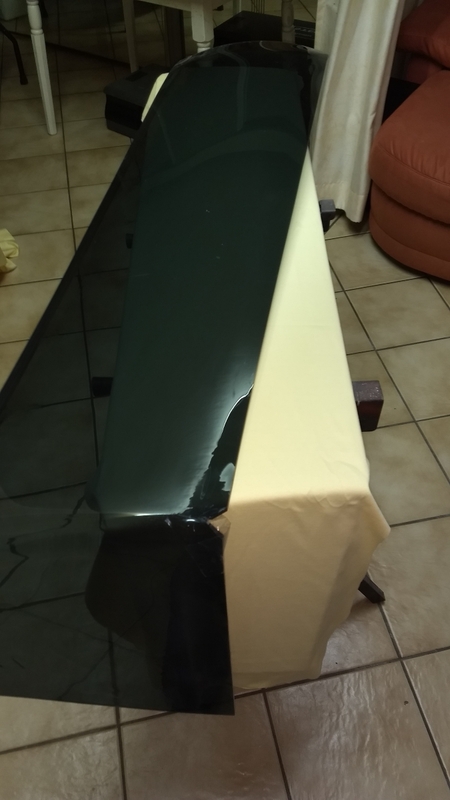 I needed to replace the windows on my Sun Liberty 34 as the Plexiglas had many small aging cracks and some corners were broken. The Sun Liberty 34 is designed with stylish, but complex curved windows. I deceided to fabricate the replacements myself as all windows needed replacing. This article describes the method I used to replicate the original shapes. Accurately measure the original windows. Record the angles of the window in writing. 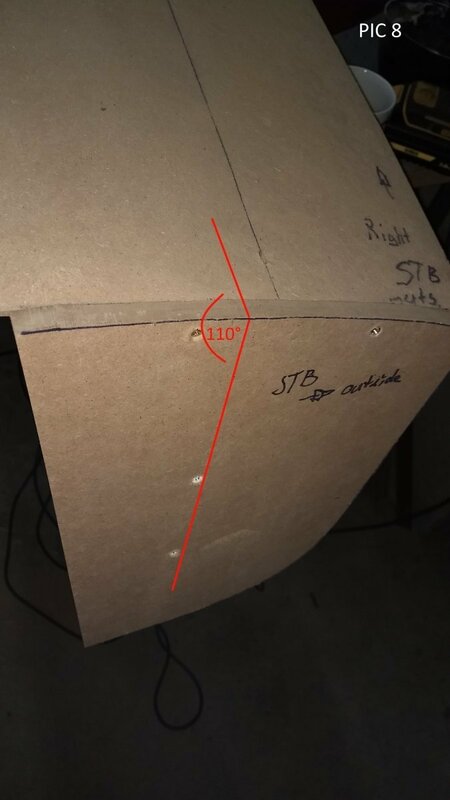 Create a cardboard template of the curved window. 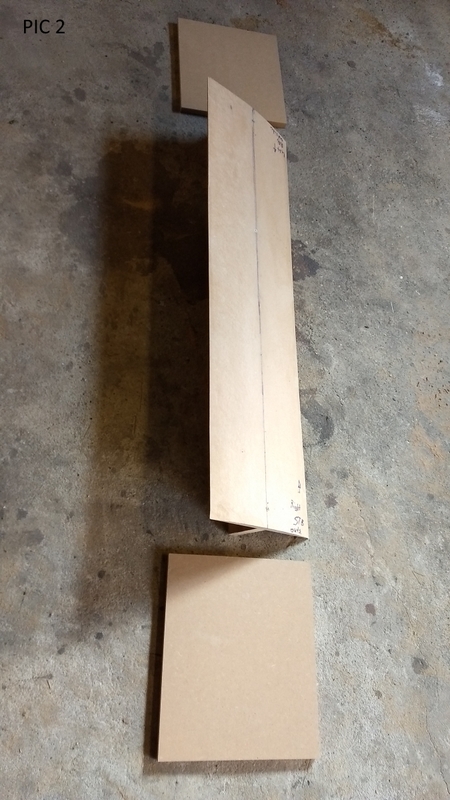 Measure the height using the template, place the template on a straight surface and measure the height in the middle. If you buy an MDF board based on the measured size of the window, add at least 1 cm per edge length. 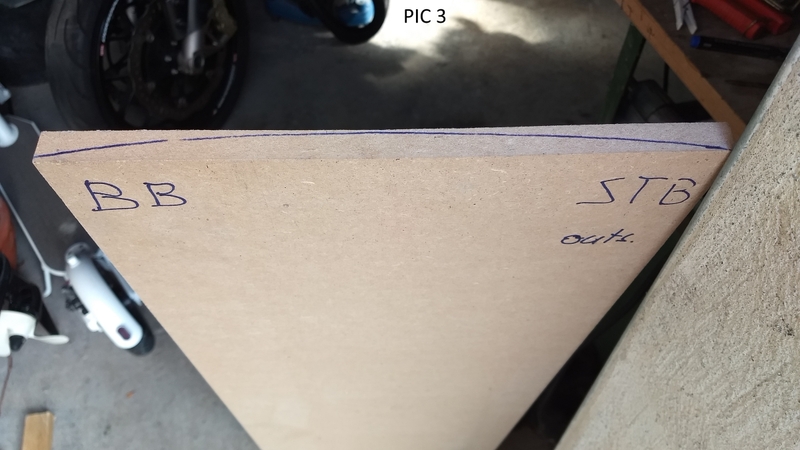 The MDF board should be thick according to the measured height (template). 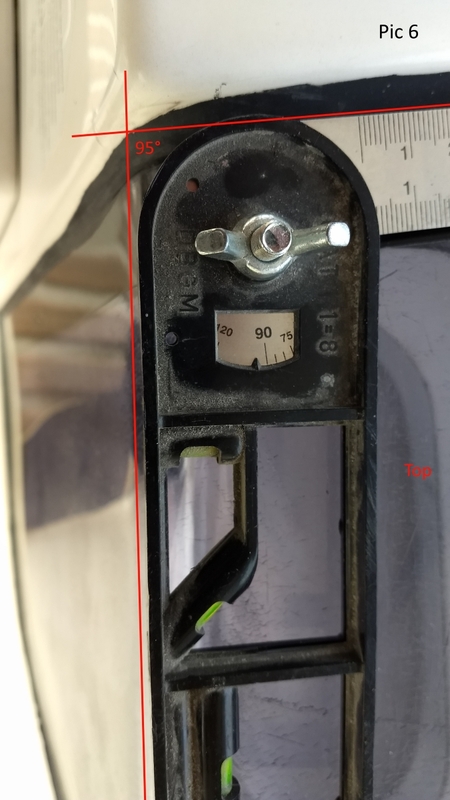 Our negative of the cockpit window consists of three MDF parts. We use an upper rounded plate for both sides. The rear parts are adjusted according to backboard and control board side and are not curved, but flat. 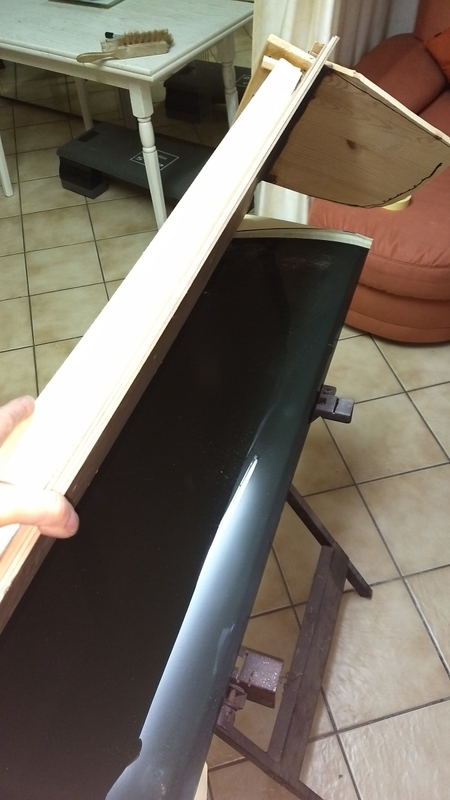 The long upper MDF board is sanded into a curved shape according to the template. 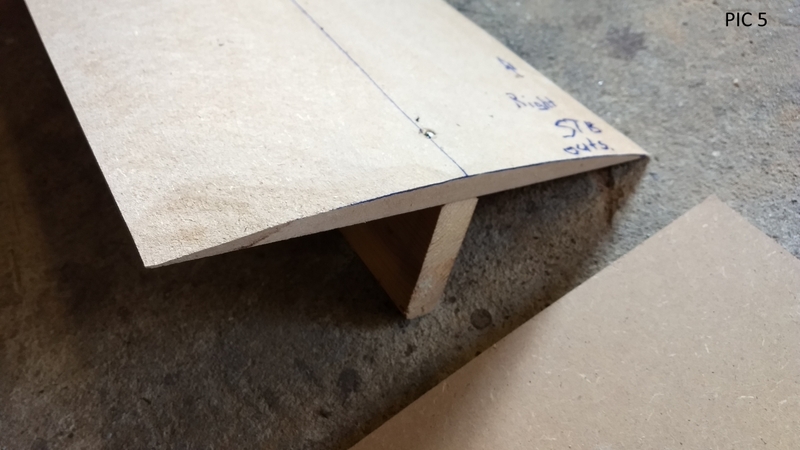 When we have checked the board with the template over the entire length for the appropriate rounding, a stiffening board is screwed on from below. We create a paper template from the flat rear surface with the curves of the disc, additional 1cm at the high. 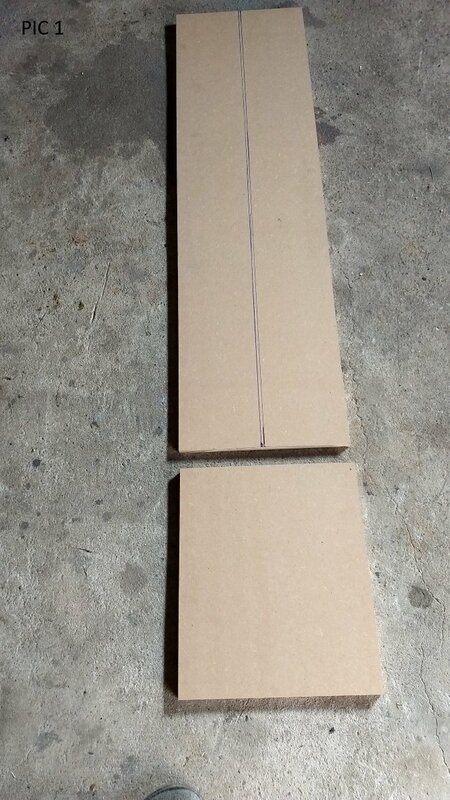 We transfer this template and its dimensions to the two smaller MDF boards according to the control board and backboard side. Then we cut out the two MDF boards according to the outline. We take over the angle from the upper disc in longitudinal direction. to steering board. For backboard it is the same angle. Here approx. 95 degrees. 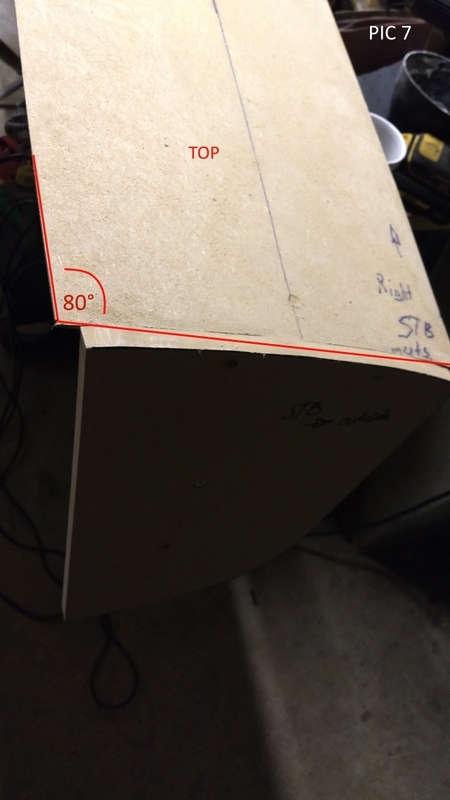 We also transfer these angles to the upper MDF board and cut it off accordingly. 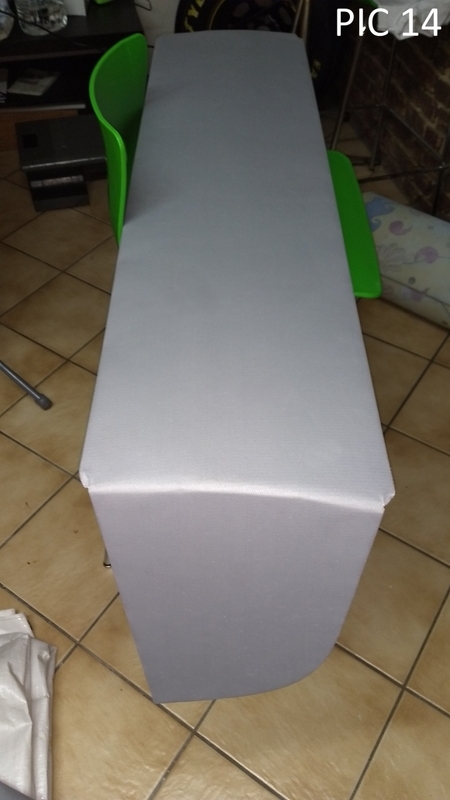 The cut edge gets a little bit more later. 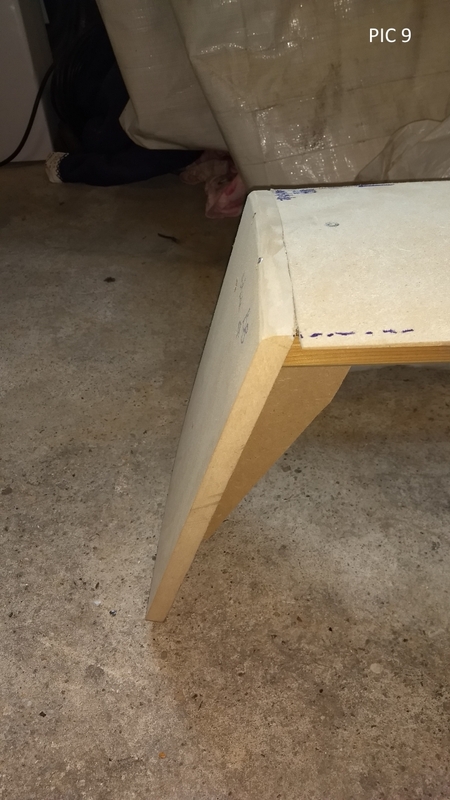 Hollow sanding so that the smaller MDF board lies flat. 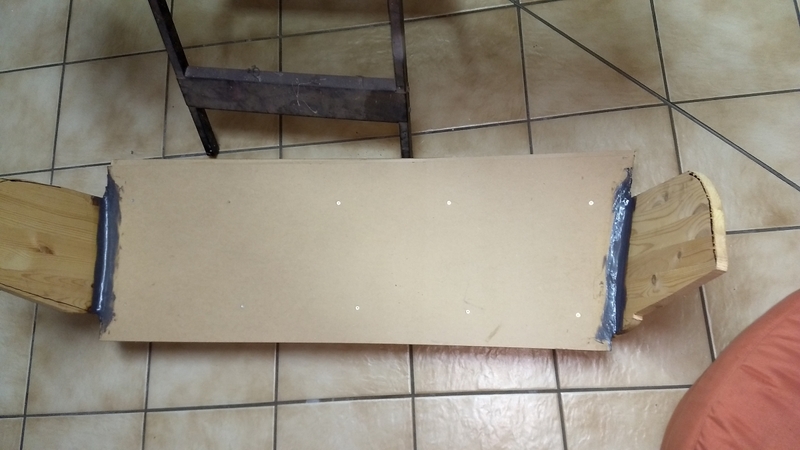 Now we take a remnant of the MDF board and screw down a second support, see photo. The measured angle from our upper pane down onto the pane is 110 degrees. The small plate is screwed to the upper plate and the support. Make sure that the left straight cutting edge of the small plate is also on the cut side of the upper plate on the control board side, e.g. on the control board side. We do the same on the other side of the long upper plate for the backboard side. The upper edge of the small plate protrudes outside 1cm, inside this edge is flush to the long plate! After we have screwed the plates together, the overhang on the small plate is sanded to the long plate in the radius, and we create a nice rounding. see left hand photo below. In order to avoid impressions in the plexiglass GS when deforming at 170 degrees, our mould is covered with temperature-resistant silicone material or glove material. The dimensions of the disc correspond to the original disc with 1cm plus per edge length! 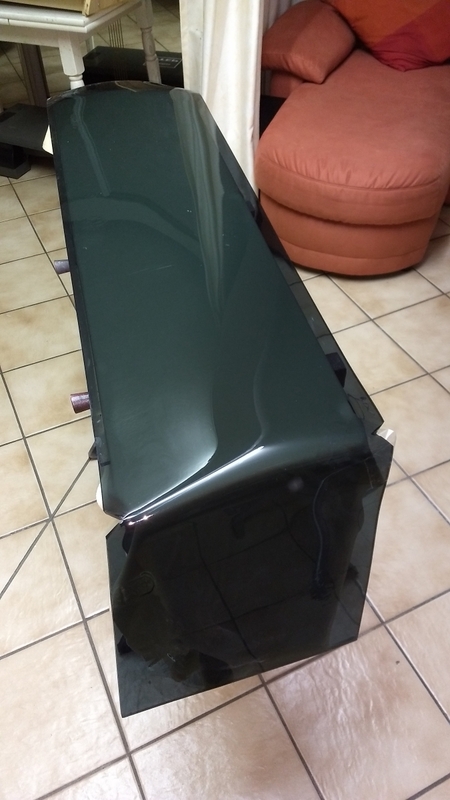 We need the oversize because Plexiglas can shrink during heat treatment. The negative mould is firmly clamped on a workbench. We start with the control board side. The Plexiglas plate GS is placed on the mold, the overhang of the plate is supported on the side of the small vertical plate, with another flat plate. The protrusion of the plexiglass plate is clamped to the protrusions. see photo. As upper fixation we need an additional positive mould to fix the plate in the heated state! To create the counter rounding, we glue four 3mm MDF boards on top of each other. 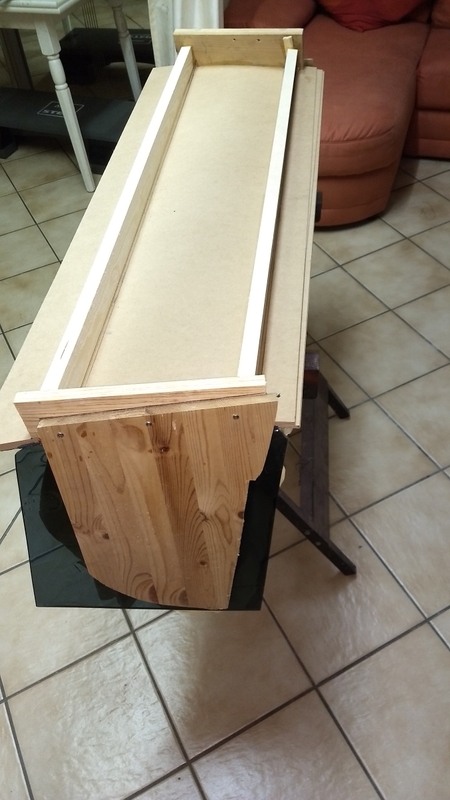 The first board is put on the negative mould, then we apply glue and put on the second board, fix all this on the negative mould with screw clamps. We do the same with the other 3m plates. 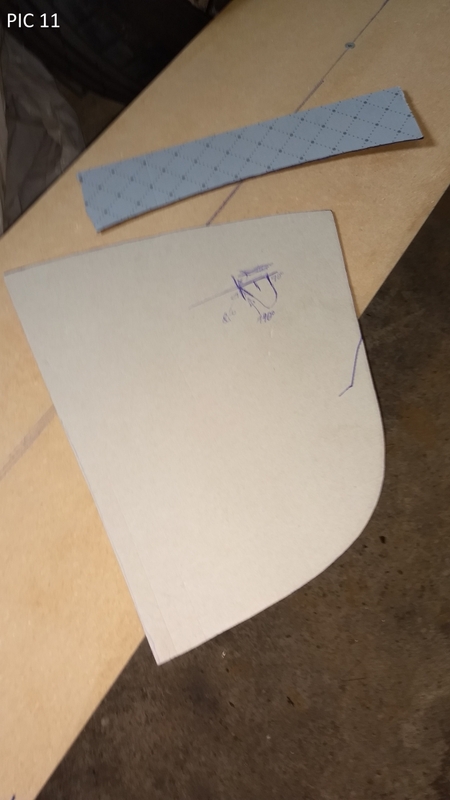 At the end the rounding is created and we have a solid rounded MDF board. On this board we mount the end pieces as on the negative mould. The plate is now heated to 170 degrees with four infrared radiator, which takes about 20 minutes. 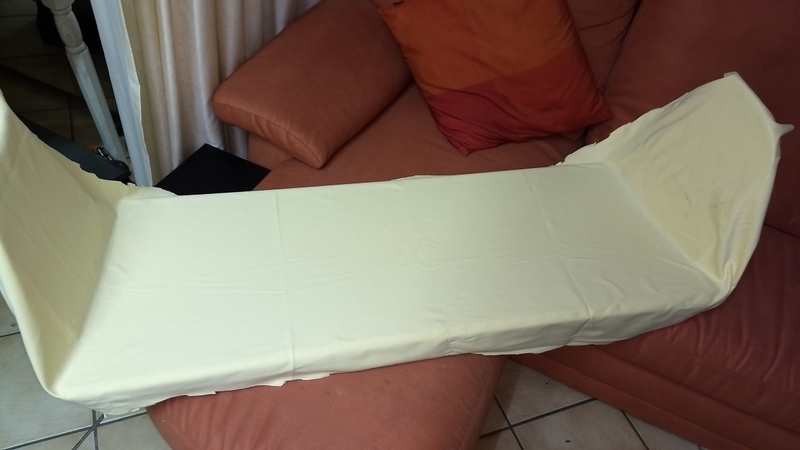 If the Plate is also soft, sample by carefully lifting the corner (glove!). Now remove the plate that was used as a support and let the plexiglass surface sink down. Remove the infrared radiator. With the glove on, pull the lower plate downwards at the lower plexiglass overhang. The consequence of this is that we get the upper bending radius and the bevel. On its own the heated plate will not fall into the correct position ! In this position the lower projection of the Plexiglas plate must be fixed, i.e. held in tension. If everything is cooled down and still lying on our form, we remove the fixings, finally the pane has to be cut according to the original window with a band saw ! With a jigsaw it only works if the saw blade is cooled with water. Attention, but you will cause scratches on the new disc with a jigsaw, stick the cut to be made with a thick adhesive tape as protection! 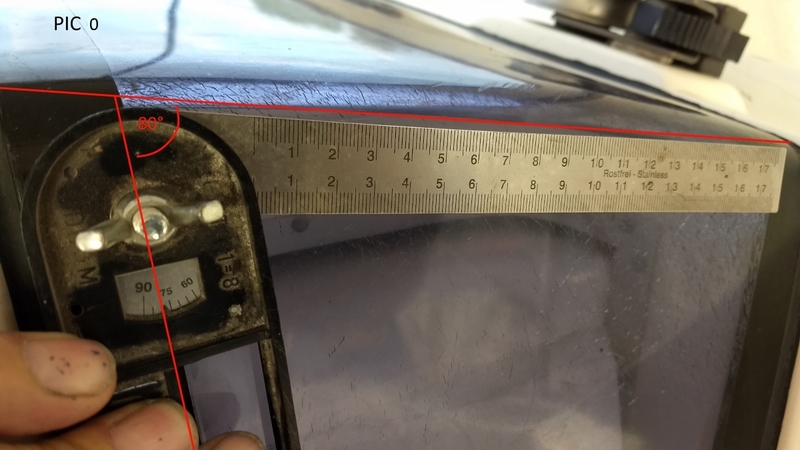 Draw the cutting line on the tape and then cut. Now carefully cut out the old window at the seal. Alternatively you can remove the window with a helper and a cutting wire. 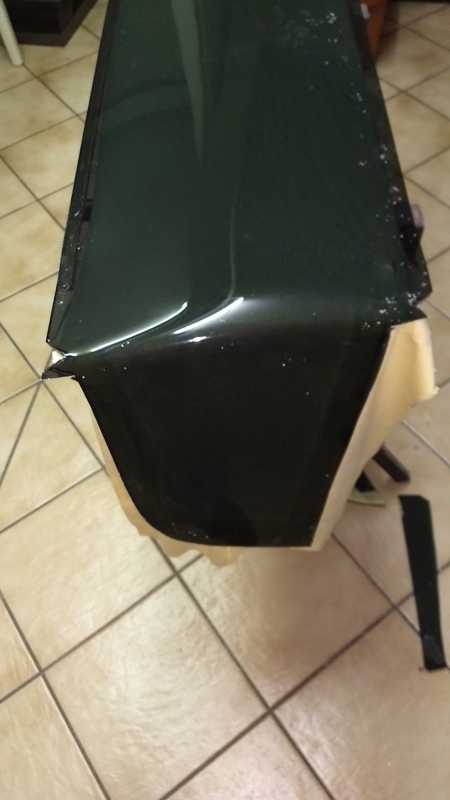 All sealing residues must be removed and the edges cleaned with acetone. Before you glue in the window, test whether it has around approx. 5-10mm gap dimension! 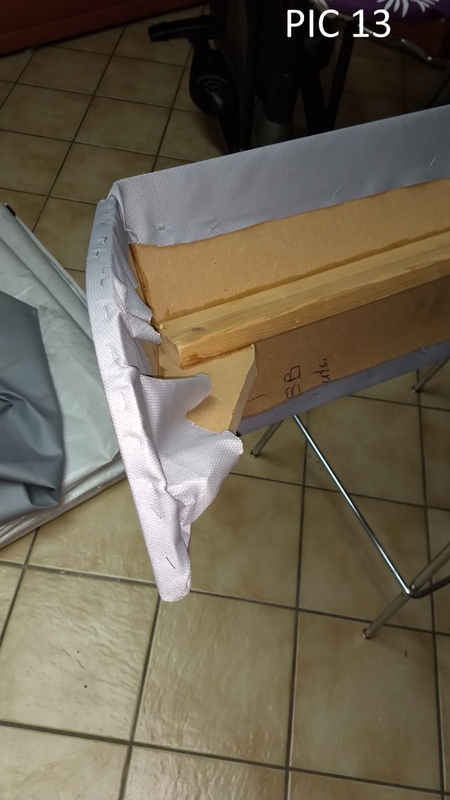 Apply an activator to the GRP edge and to the Plexikante to be glued, let it air off briefly. Then insert the pane, fix it so that the gap around it is the same with small wooden wedges. Before, you have taped the Plexiglas disc on the edge to be glued, the same also on the GRP edge of the cockpit. In addition, glue a wide adhesive strip from the inside onto the gap from the inside, also here all around. This adhesive strip must be coated with non-stick agent on the sealing side, otherwise the sealing material will stick to the adhesive strip! Tip: Place a narrow Teflon tape on the gap from the inside, then tape over it. Spray the sealing material between the pane from the outside, do not fill too sparingly! 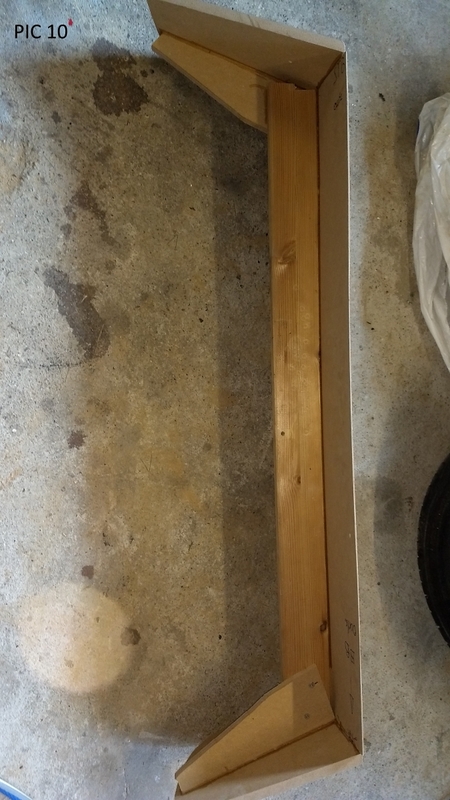 Then use a squeegee to draw a chamfer from the outside into the joint and remove the excess sealing material. 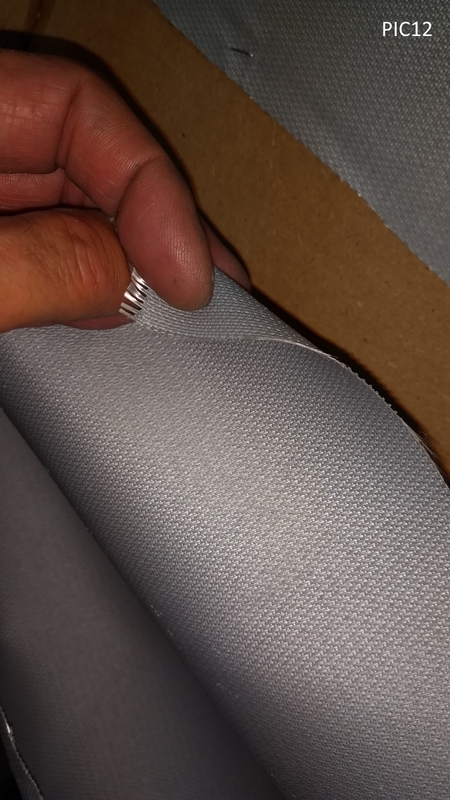 When you are finished, remove the adhesive tape immediately and do not wait until the sealing material is dry! If you want, and if you have a router, you can mill a groove in the created Plexiglas disc at the edge to be glued, this fixes the disc better when gluing in. The production of the windows cost me about 350 Euro per side including material. I am waiting for the warmer weather before I remove the old windows and fit the replacements and will update this article when that is complete.